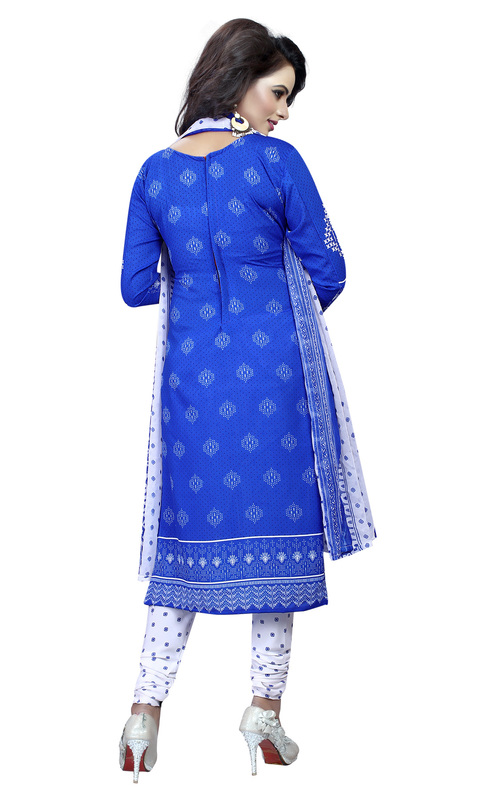 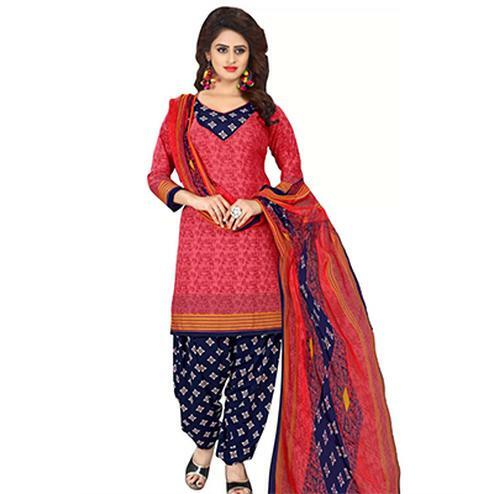 Blue - white unstiched leon fabric churidar suit detailed with polka dot and floral prints. 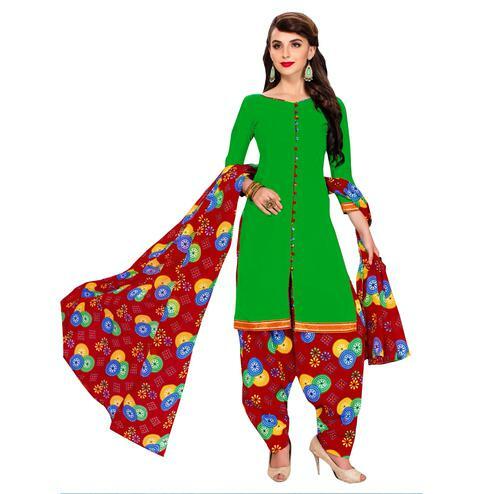 Available with crepe fabric printed bottom and dupatta. 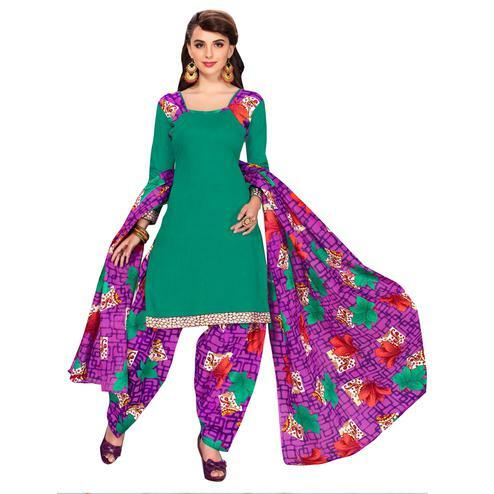 Get this outfit stitched as your per desire and wear it for your next social get together.